Echoing the charm of Old Hollywood and the style of contemporary California, the Hollywood Hotel is an ideal event setting for those who value timeless elegance and thoughtful service. We are fully equipped to handle all of your individual and social function needs, from catering to room blocks. In a hurry? To receive a quick proposal for your next function, simply complete our online request form, and we will contact you to discuss the many options that are available here at Hollywood Hotel. No room will be held without a deposit equal to 1/3 of the estimated total event or greater than $1,000, whichever is higher. All parties have a five (5) hour time limit. A $500 per hour charge shall be imposed on all events exceeding the authorized time limit. All deposits are non-refundable. 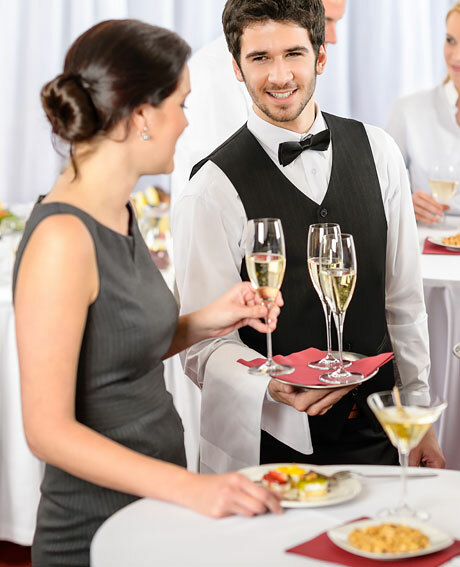 Should it be necessary for a client to cancel a signed contract prior to the event, the hotel will be entitled to liquidated damages based on the following scale of total estimated food, beverage, and/or room charges, with more than 90 days up to 30 days an amount equal to 75% and less than 30 days up to 7 days an amount equal to 90%. All cancellations of events must be submitted in writing. Payment for liquidated damages as a result of cancellation shall be made at the time of cancellation. The hotel reserves the right to cancel or to request for additional charges and security guards to any contract if misrepresented or erroneous information as to the type or nature of the event is discovered to have been furnished or omitted by the client prior, during or after the signing of the contract. In short, the hotel has the option to cancel a contract that is booked under false pretense. If unforeseen circumstances arise, an act of God, earthquakes, etc., that prohibit the hotel from being able to accommodate your event, the hotel will take reasonable steps to relocate your event with another hotel or refund all monies held in deposit. In no event shall the hotel liability be in excess of the total amount of the food, beverage, and/or room charges. Final payment is due 10 working days prior to the event along with the guaranteed total guest count. Payment must be received in the form of Cashier's Check, Money Order, Cash, or Credit Card. All credit cards are subject to a 3% surcharge on final balances. Company Checks will be accepted only with prior credit office approval. You may select any item on the catering menu. Special dietary items can be arranged to meet the needs of all people and faiths. Please speak with the Catering Manager should you have any special needs or requests. Client must furnish one security guard or designated chaperone at the client’s expense. Chaperone must be counted as one chaperone per every six children under 12 years of age. All graduation parties must furnish two security guards, i.e., one inside building and one in parking lot during entire event at client’s expense. Security guard fee is $25 per hour, with five-hour minimum. A setup fee of $125 will be charged on each event. Room shall be set according to the client’s needs. Setup fee will include tear down and clean up. Please discuss parking arrangements with your Catering Manager. Lighted dance floor rental fee is $500. All table linens are ivory and will be furnished at no charge. Many additional colors are available. Please ask your Catering Manager about charges. White silk, gold silk, and silver silk covers are available. Please ask your Catering Manager for charges. A selection of many fine cakes and styles are available. Most wedding cakes begin at a fee of $6 per person. A cake-cutting fee of $1.50 per person shall be imposed, along with service charge and tax. A fee of $8 per bottle shall be imposed along with service charge and tax. A fee of $125 shall be imposed for one coat check attendant. Attendant shall begin 1 hour prior to the scheduled event and remain ½ hour after the conclusion of event, totaling 5 hours maximum. Additional hours may be added at $20 per hour. A fee of $125 shall be charged for each bartender. A large selection of audio/visual computer equipment is available for rent. Please discuss your needs with the Catering Manager. Rental fee of $250 for each day of event. Whether you’re planning a lively banquet or a small executive session, our experienced staff, competitive prices, and five dignified function rooms never fail to generate productive and successful events.